“If the rest of 2019 continues at a similar pace, this year will be on track to exceed last year's discovered resources by 30%,” says Taiyab Zain Shariff, Upstream Analyst at Rystad Energy. Meanwhile, Repsol's operated Kali Berau Dalam gas find in Indonesia takes the prize for the largest onshore discovery of the quarter. 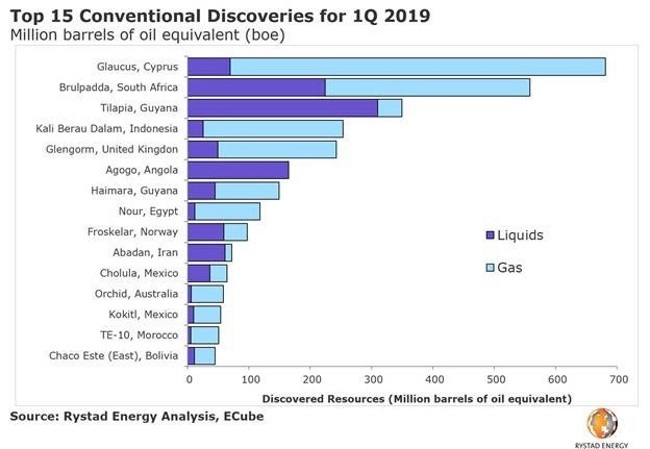 From a global perspective, the push for substantial new discoveries shows no signs of slowing down, with another 35 high impact exploration wells expected to be drilled this year, both onshore and offshore. Three such highly prospective wells are already underway: the Shell-operated Peroba well, off Brazil, with pre-drill prospective resource estimates of 5.3 billion boe; Eni's Kekra well in Pakistani waters, with pre-drill prospective resource estimates of 1.5 billion boe; and the Total-operated Etzil well off Mexico, with pre-drill prospective resource estimates of 2.7 billion boe. 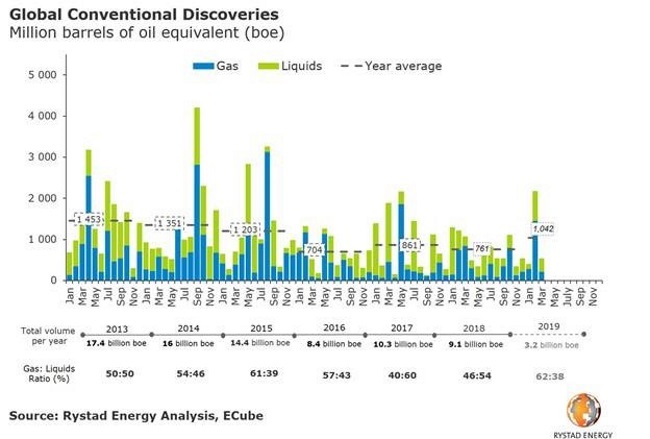 “If these wells prove successful, 2019's interim discovered resources will be the largest since the downturn in 2014,” Shariff remarked. 15/04/2019 00:00 - Explainer: Brazil’s transfer-of-rights oil area – What’s next?